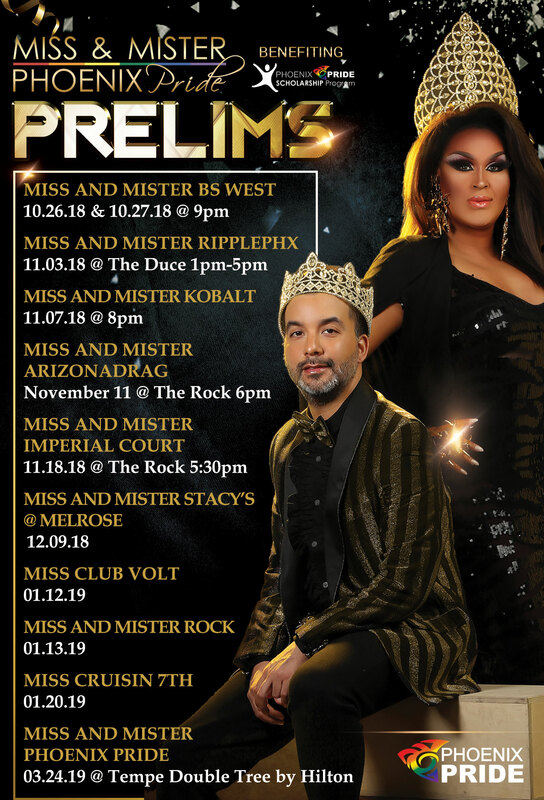 Join us as we Celebrate and Honor our reigning Miss and Mister Phoenix Pride Mya McKenzie & Carrington Hall-Dubois for their amazing service, not only to Phoenix Pride, but to our entire community. What outstanding representatives they have been this past year, THANK YOU, THANK YOU, THANK YOU! WHO WILL BE YOUR NEXT KING AND QUEEN? 20 amazing contestants will be competing for the title of Miss & Mister Phoenix Pride 2019! Come out and support your favorite Queen and King! BEST OF LUCK TO ALL OUR CONTESTANTS!